This flashlight/ torch combines the fun and nostalgia of the LEGO Minifigure with a handy, reliable LED light. 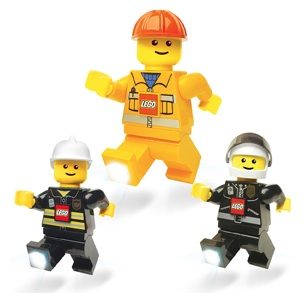 The LEGO Minifigure torch is your constant companion, providing light for children's play. It sports posable arms and dual, light kicking feet. Batteries Included. Price per item.